I just found out about a new kind of bed. Called the “component bed,” it allows you to “customize” your sleep to a degree never possible before. But I can’t imagine that this bed would lead to sounder sleep or put the kibosh on my insomnia. I just found out about a new kind of bed. Called the “component bed,” it allows you to “customize” your sleep to a degree never possible before. Not only can you adjust for different preferences in firmness on each side of a queen- or a king-size bed. You can also adjust for a different feel. Are you in the mood to sleep on water, on coils, or on foam? You get to choose. “You’ll never have to settle for the same mattress night after night, month after month, and year after year,” the voiceover on the company video says. I’ll lay out the details, but first I’ll say this new bed reminds me of an older innovation in nighttime comfort. About 10 years ago my extended family discovered the Tempur-pedic and went on a Tempur-pedic spree. Couple after couple succumbed to the lure of a mattress that purportedly would conform to their bodies, allow for different preferences in firmness, and make them oblivious to their partners’ twists and turns at night. And in fact, the Tempur-pedic lived up to its claims in the eyes of the fam. 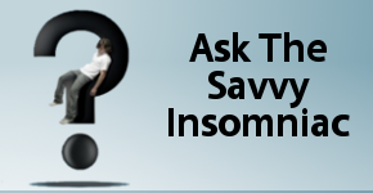 Knowing about my sleep problem and wanting to help, they made a suggestion: what was there to lose by trying one out? Absolutely nothing, my husband and I agreed. There was a money-back guarantee, so we had one delivered to our house. And returned it at the end of the month. It didn’t work for the Princess and the Pea. The body-conforming foam top gave me a backache in the morning. As for minimizing the motion of my partner in the bed, what use is a jiggle-proof mattress when I’m sleeping under the same covers, that can be yanked this way and that way and completely off my back? 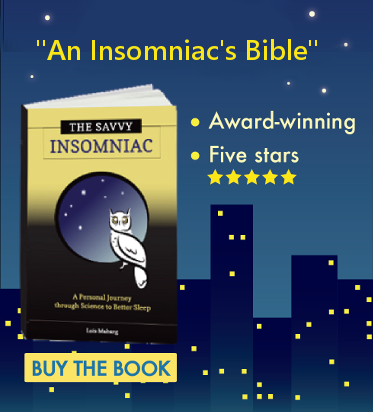 There’s more to nighttime comfort than a mattress, as I think most insomnia sufferers will agree. According to the claims of Münami Inc., this new bed is all about comfort and quality sleep. Here’s how it works. The bed comes with three interchangeable twin-sized “component” mattresses (water, coils, and foam), one of which is placed on each side of the bed under a mattress topper. (The third component gets stored in a compartment underneath the bed.) You can change these components any time—every night, if it suits your fancy, sort of like choosing what you feel like having for dinner. Why stick with spaghetti if you can rotate between that and felafel and boeuf bourguignon? But I have trouble imagining how this changing of components is going to add to my comfort at night. Visualize this if you can: at the approach of bedtime, after you’ve had an absolutely killer day at work, your partner gets it into his head that no, he can’t sleep on foam tonight, it’s got to be water. So you take up positions on either side of bed. You strip off the bed clothes, unzip the mattress topper, peel it back, remove the foam mattress, do a deep knee bend to extricate the water mattress, stand up, heave it in place, roll the topper back down, zip it back up, and re-make the bed—sheets, blankets, bedspread, and all. All this commotion at bedtime may not be a problem for dependable sleepers. But if you’re prone to insomnia like me, it would be a surefire setup for a bad night. In fact, to someone who rarely finds time to make her bed, let alone change the sheets, this component bed sounds like a giant pain in the neck. Would you buy a bed like this? i have enough trouble trying to decide on a pair of running shoes…just to think about the idea of having changeable mattresses is overwhelming. There are 80 “likes” on this company’s website, so SOMEBODY must think it’s a good idea. The key here is that consumers are empowered with the choice of change rather than being stuck with the wrong mattress which happens to at least 70% of consumers. I guess the question becomes….would you rather spend a few minutes changing your mattress at home by switching Components on the Component Bed OR throw you mattress on the hood of your car to go haggle with the local mattress store for a new one?